Home » How to Record and Run SolidWorks Macro? Easiest way to automate SolidWorks is with SolidWorks Macro Feature. 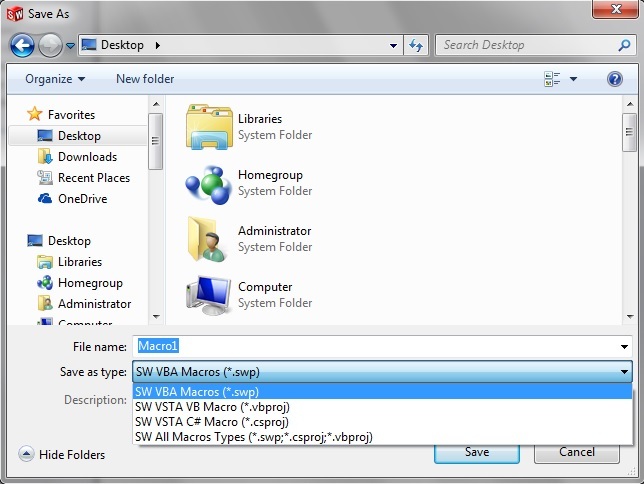 Macro toolbar can record steps in SolidWorks and save Macro file in different file format based on Supported programming languages by SolidWorks API. 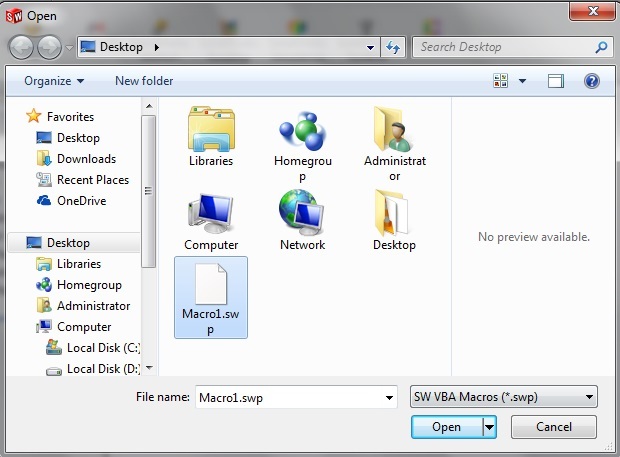 You can quickly run these saved recorded Macro files and perform recorded steps. 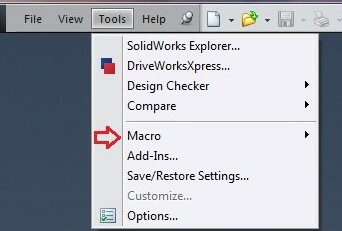 When you open SolidWorks , Go to Tools > Macro. Here you will find Macro Toolbar options. #How to Record SolidWorks Macro? Click on record button on Macro Toolbar. Now every action and click will be recorded as macro code in Macro file. We will create simple macro which will open Part file in SolidWorks. .swp file format is for SolidWorks Macro saved with VBA language. We will see other save as types in later posts. Before running macro close Part file created while recording macro. 1. Click on Run button on Macro Toolbar. A Part file will open in SolidWorks. Hence, We have successfully Recorded and Run Macro file which will open part file in SolidWorks.